A few months ago I was excited to get the chance to try two mini COLAB Dry Shampoos via the You Beauty Discovery Box and have since bought a full size bottle. This is the dry shampoo that was created and launched in conjunction with Ruth Crilly from A Model Recommends and is available from Superdrug and Feel Unique. The bottles are available in 50ml and 200ml sizes and in a range of scents. I have London - described as having a "classic" scent made up of bergamot, musk and magnolia, Rio - a tropical scent thanks to papaya, pineapple and cassis and New York - a fruity scent of apple, melon and amber. There's a couple of things that makes COLAB stand out for me compared to other dry shampoos; first of all, the formula is very lightweight and absorbs quickly. I usually have to brush my hair after working dry shampoo through with my hands, but with the COLAB Dry Shampoo the latter is enough. I also find that it gives my hair quite a bit of volume as well as refreshing any oily areas and the scents have a lot more depth and sophistication to them than others I've tried. My favourite scent of the three is Rio, but this comes as no surprise as I generally tend to gravitate towards citrus and tropical scents. The one downside is that the price is higher than your average high street dry shampoo, such as Batiste or Girlz Only. A 200ml bottle costs £3.50 and a 50ml bottle costs £2.00, but then I do think that the quality of COLAB is higher. It's much better value per ml buying a big bottle, but the smaller ones are handy for travelling and keeping in your handbag! 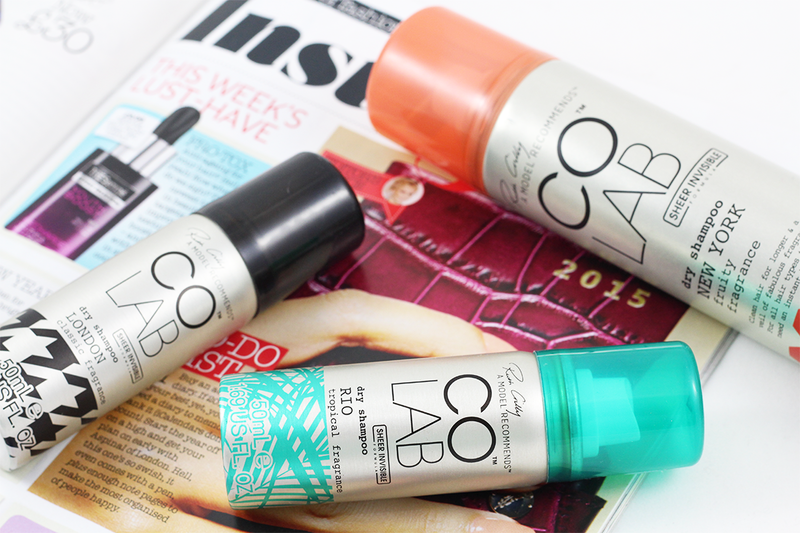 Have you tried any of the COLAB range? What is your favourite dry shampoo? I keep meaning to buy a bottle of this - I have heard such positive reviews & I am still on the hunt for that perfect dry shampoo. I like that you can get mini ones & will make sure I get one next time im in Superdrug. Okay, I'm going to buy Rio tomorrow! I'd like to find a better dry shampoo! Definitely need to try these! 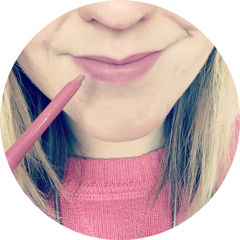 I've heard so many bloggers rave about it!